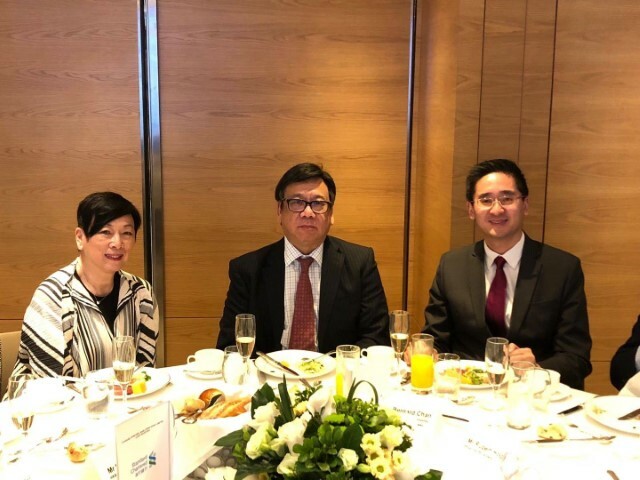 In the AGM, Mr Algernon Yau of Cathay Pacific Airways Limited was re-appointed as the Chairman of HKACE for the term of Office Year 2018-2020 by the Executive Committee members. 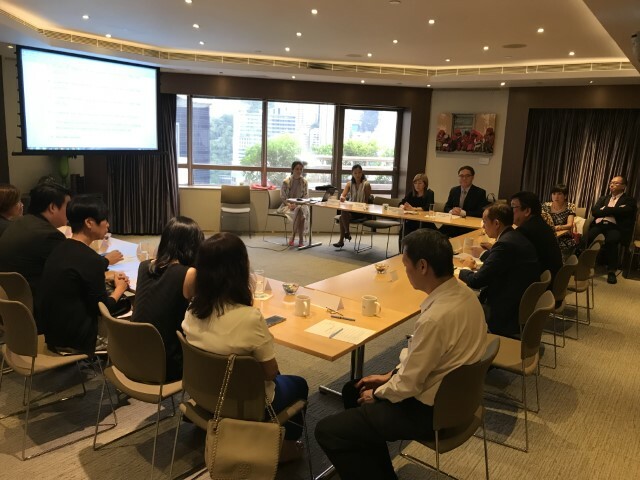 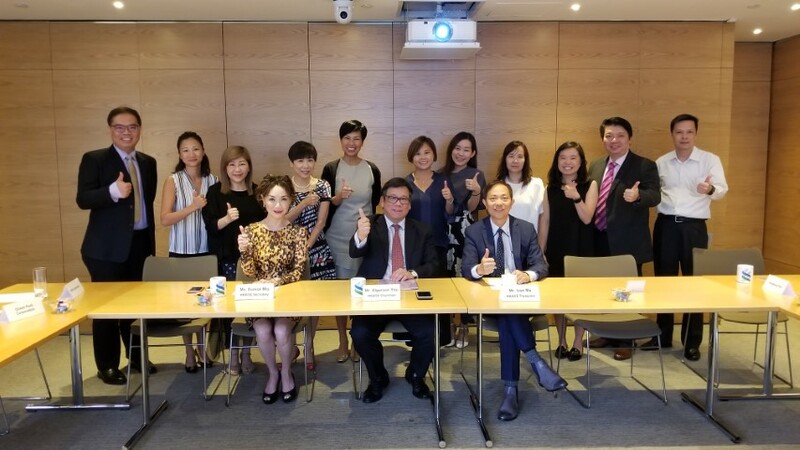 Other appointments include: Ms Wendy Wong of CLP Power Hong Kong Limited as Vice Chairmen, Ms Monita Leung of HKT Limited as Secretary, and Mr Ken Lai of Shell Hong Kong Limited as Treasure. 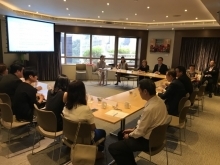 Executive Committee members also approved the agenda items for the coming year. 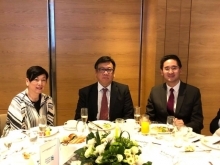 During the luncheon, CEOs of our member companies had opportunities to meet with each other and get acquainted. 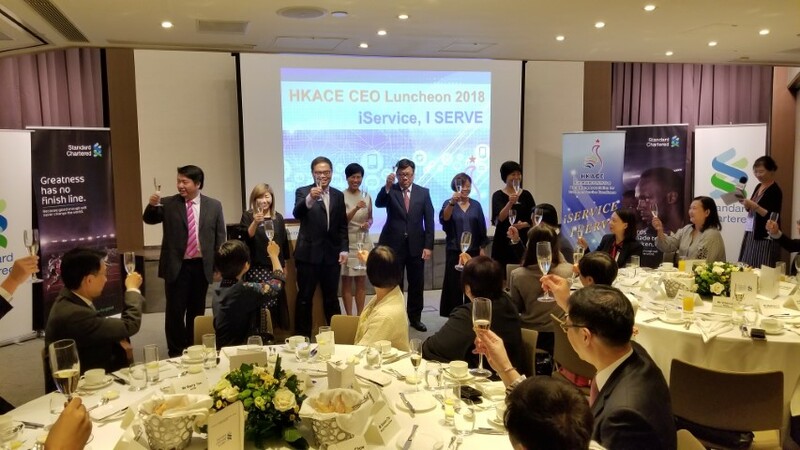 As highlight to HKACE’s theme this year, “iService, I SERVE”, informative presentations were given by CSG, the researcher of HKACE Research 2017, on Digital Transformation of Customer Services in Hong Kong and by Mr Barry Yan of ASTRI and Ms Cally Chan Microsoft Hong Kong Limited on Market trend and progress of digital transformation / AI. 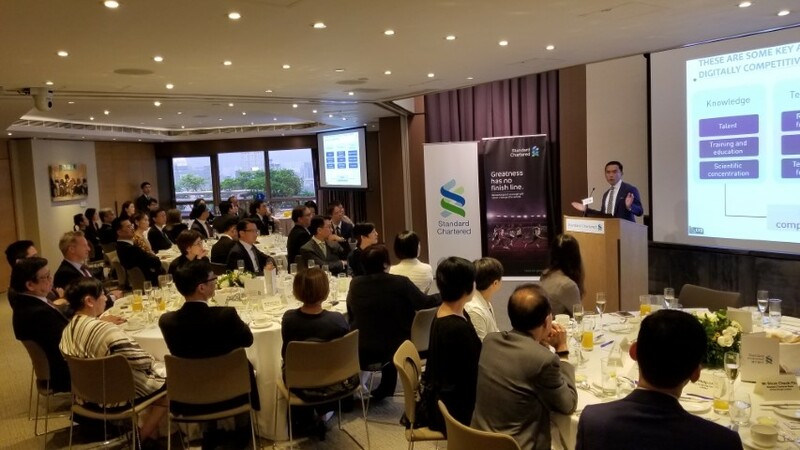 Sincere thanks to Standard Chartered Bank (Hong Kong) Limited once again for providing such wonderful venues for these events and gratitude to those who attended for their support.